White paper with permanent adhesive. White vinyl stickers, waterproof with permanent adhesive. Clear vinyl stickers, waterproof with permanent adhesive. Colored artwork will be see-through on this material; they are best when applied on light colored surfaces. Clear vinyl stickers with white ink, waterproof with permanent adhesive. These stickers are translucent with white ink applied under the colored artwork to help the artwork standout. Use this option if you need your artwork to be opaque on a clear background or if you have white or cream colors in your artwork. Clear vinyl stickers, waterproof with removable adhesive. 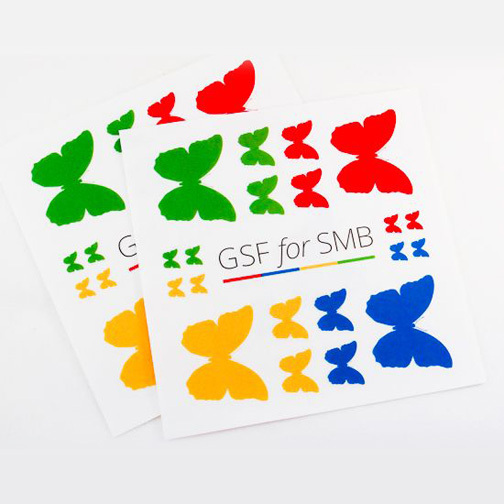 These stickers are translucent; they are best when applied on light colored surfaces. Leave no residue if removed. 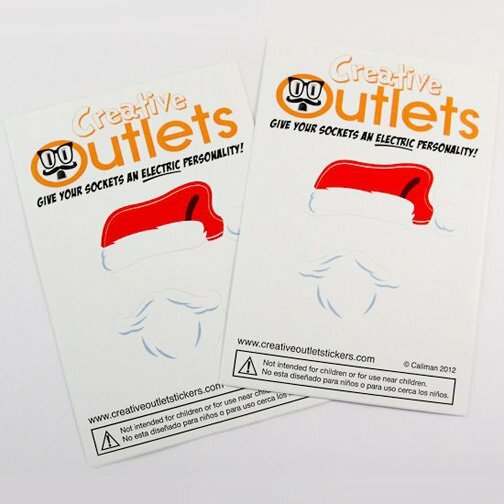 Similar to Window Stickers, however these can be printed on both sides. Material is opaque so you can’t see one side through the other. Removable adhesive. Add a matte finish to your stickers. Great for packaging, laptops, promotional use. Ideal for indoor or light outdoor use. Pick the paper option that best suits your needs, from standard paper stickers to vinyl and laminate materials we've got it all. Read more about each option below. White vinyl stickers, waterproof with permanent adhesive.Adding UV Laminate ensures that colors won't fade in direct sunlight. White vinyl stickers, waterproof with permanent adhesive.ADD UV Laminate ensures that colors won't fade in direct sunlight. Use this material’s paper backing to print additional information without cluttering up your sticker’s design.